Oh man we love it when it all comes together! Look at that scene. What a place. Should taste the Salmon! Culloden Battlefield, Clava Cairns, Kessock Bridge, Inverness and the Moray Firth from Saddle Hill at Clava. Easter 2018. Culloden Moor, Sunset, Easter Sunday, March 2018. Stac Pollaidh is a mountain in the Northwest Highlands of Scotland. The peak displays a rocky crest of Torridonian sandstone, with many pinnacles and steep gullies. The ridge was exposed to weathering as a nunatak above the ice sheet during the last Ice Age, while the ice flow carved and scoured the smooth sides of the mountain. 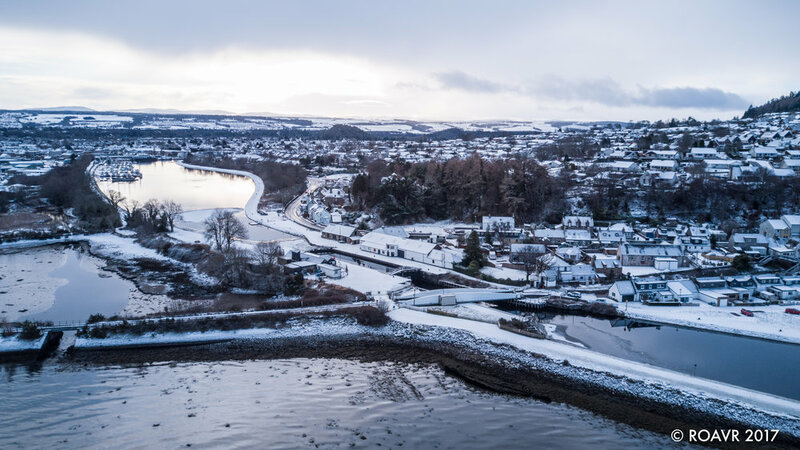 If you are observant as you drive north across the Kessock Bridge from Inverness, you can catch a glimpse of a small village to the north east, on the shore of the Moray Firth. This is the tiny hamlet of Kilmuir. 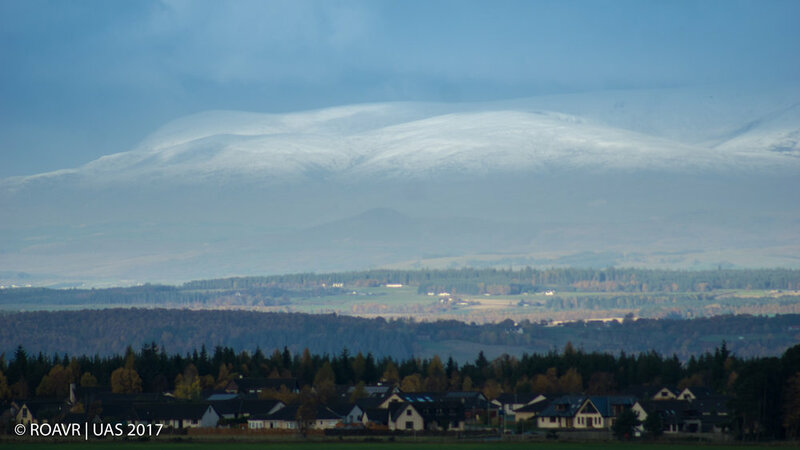 With the bulk of Ben Wyvis visible behind. Moray Firth at sunset yesterday. Looking across the fields south of Culloden Battlefield to the Moray Firth. March 2018 at sunset. A heavy lift ship can be seen moving an oil rig out of the Cromarty Firth. Sheep at sunset. March 2018. Dunkeld hit the news during the 'Beast from the East' period in late February / early March 2018 when a number of deer nonchalantly walked down the high street and onto the national news! The Highland Railway line enters a tunnel at 'The Hermitage' at Dunkeld. 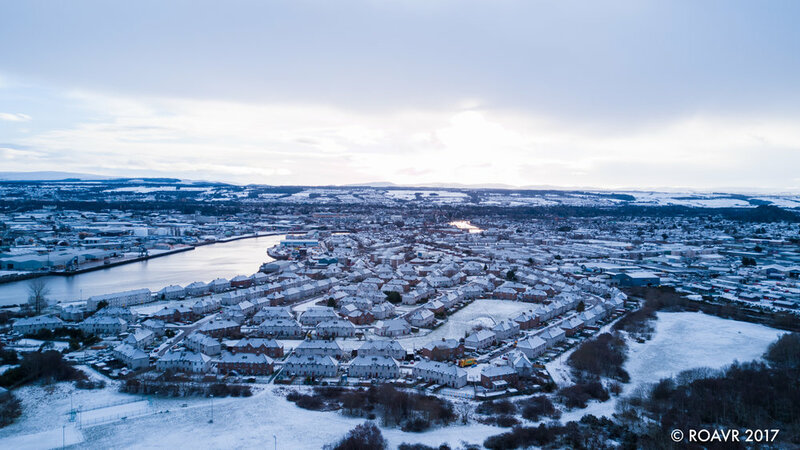 The Highland Capital has certainly had its fair share of snow so far this year. Here are a few pictures from January 2018. Cow Hill is a summit that blocks the view of Ben Nevis from Fort William. It gives an enjoyable circuit with fine views, both over the town and down Glen Nevis and Loch Linnhe. Loch Linnhe is a sea loch that follows the line of the Great Glen Fault and is the only sea loch along the fault. About 50 kilometres (31 mi) long, the southern part of the loch is wider and its branch southeast of the island of Lismore is known as the Lynn of Lorne. Loch Eil feeds into Loch Linnhe at the latter's northernmost point, while from the east Loch Leven feeds in the loch just downstream of Corran and Loch Creran feeds into the Lynn of Lorne. The town of Fort William lies at the northeast end of the loch, at the mouth of the River Lochy. The Corran Ferry crosses Loch Linnhe at the Corran Narrows visible in the mid-ground of this shot. The lovely village of Dunkeld sits on the banks of the River Tay. The majestic Dunkeld Cathedral dominates this picturesque Perthshire village. Today, part ruin and part parish church, the cathedral features the tomb of the notorious 'Wolf of Badenoch'. 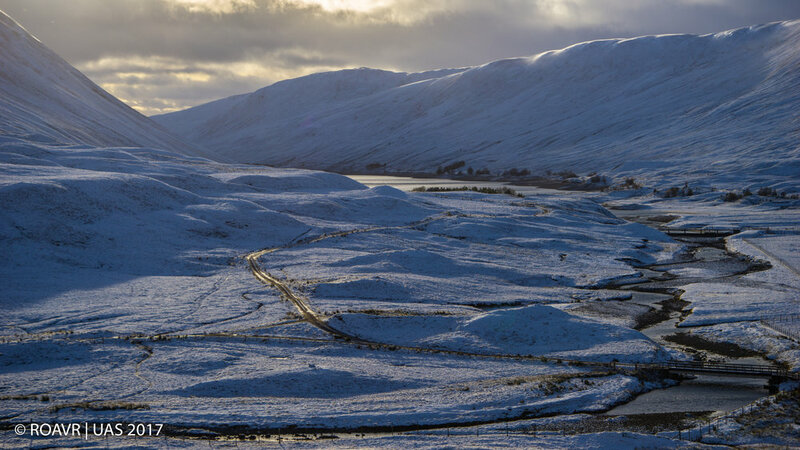 The first low level snow of the winter caused some tricky conditions across the north of Scotland. Knoydart is a peninsula in the Lochaber district on the West coast of the Scottish Highlands. Situated between Loch Nevis and Loch Hourn, the peninsula comprises approximately 55,000 acres which today is divided up amongst a number of landowners, with the largest area managed by the Knoydart Foundation. Knoydart is cut off from the UK mainland road network, thus meaning access can only be made either by boat or by foot. The rugged and remote landscape is one of the primary attractions of the area; and with four munros and numerous corbetts within the Knoydart boundary, hillwalkers flock from far and wide to make their ascents. Inverie is the main settlement area and is home to over half of the full time residents (currently around 120). The village holds the majority of local amenities, including the Primary School, Post Office, Community Shops, Knoydart Pottery & Tearoom and The Old Forge pub; and is where the pier is located for boat access to and from the peninsula. 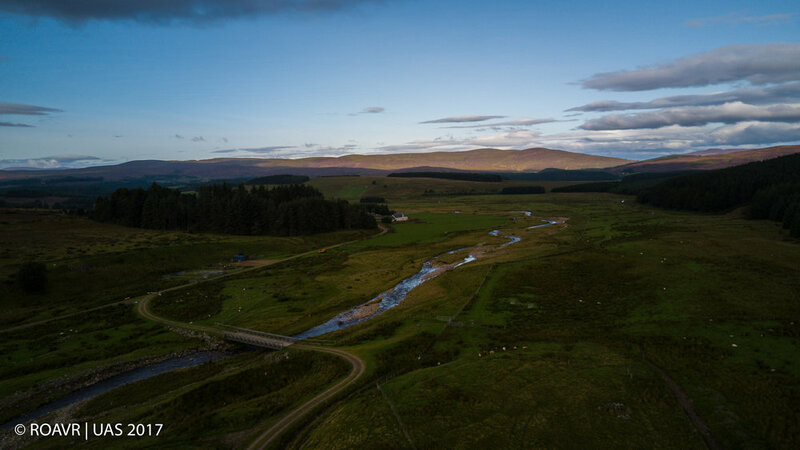 Strathdearn is a river valley in the Highlands of Scotland extending about 22 miles long from Coignafearn to Moy, following the river Findhorn's meandering course through the parishes of Dalarossie, Tomatin and Moy. The upper reaches of The Glen are narrower, then widen to almost 4 miles with the main centre of the community at Tomatin, meaning "Hill of the Juniper" in Gaelic. 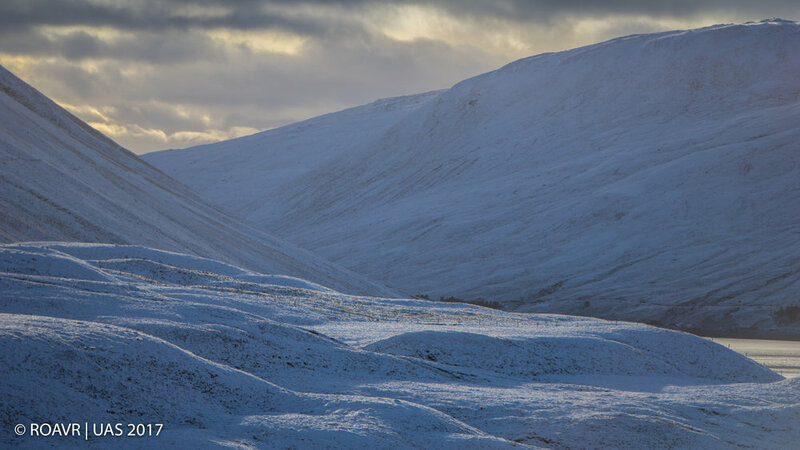 The Strath was sculpted by a retreating glacier and is bounded by hills of the Monadhliath range, reaching heights of 3000ft nearer the headwaters of the river and gradually becoming less steep. They are covered with heather and grass now but, in ancient times, were heavily wooded with birch, hazel and alder, but mostly pine. Stumps and trunks of these veterans can be seen protruding from peat banks – what remains of the Caledonian Forest after slash and burn by early farmers and a changing climate. 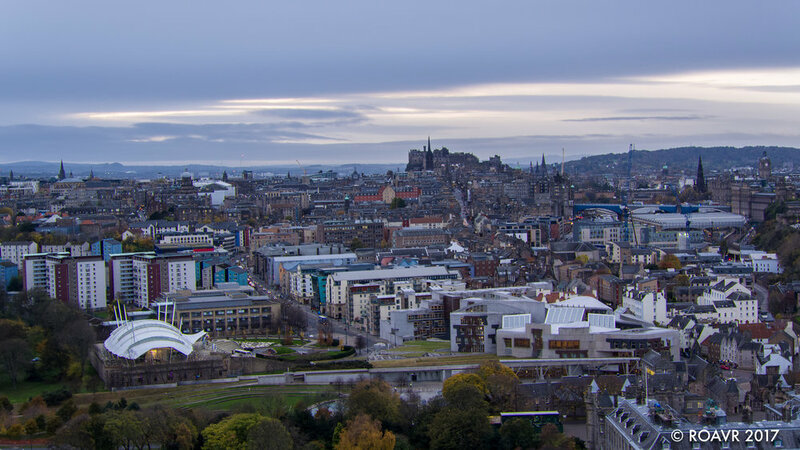 We were lucky enough to get to film right in the centre of the Capital with assistance from Edinburgh Airport, Police Scotland and Historic Environment Scotland. In the mid 19th century the Hutchison family commissioned David Rhind to design the castle. 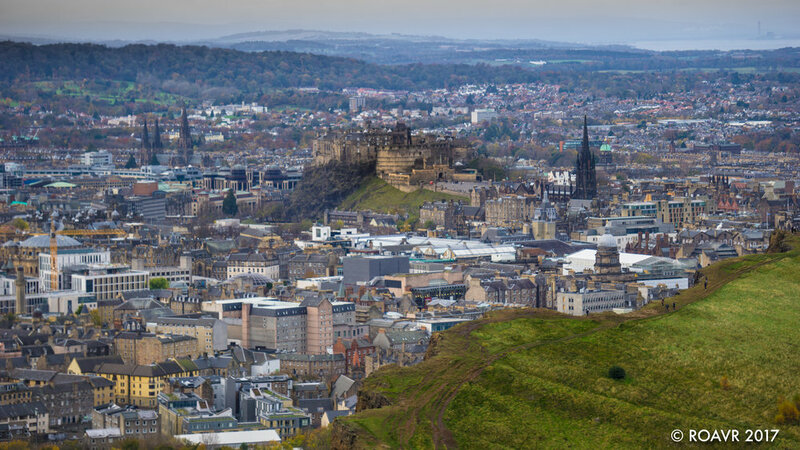 He was a prominent Scottish architect, mainly remembered for his public buildings, banks, churches and schools, most of which are now listed buildings. The Castle was first home to Thomas Hutchison, a wine merchant and his wife Jean Wylie and their 5 children. Their daughter, Isobel Wylie Hutchison took over Carlowrie Castle and became one of Scotland’s most pioneering Arctic travellers, searching for rare plants on her trips. Many of the plants she collected are still in the grounds today and can also be seen at Kew Gardens in London. A polyglot by the time she was an adult she could speak Italian, Gaelic, Greek, Hebrew, Danish, Icelandic, Greenlandic and knew most Inuit words. She kept diaries assiduously throughout her adult life, was an expert sportswoman and in her spare time wrote poetry and painted. Only two families have owned the castle in its entire history and today the current owners, the Marshalls, have lovingly renovated the Castle to be a modern, luxury venue that is a real hidden gem on Edinburgh’s doorstep. ROAVR | UAS were on site for Leopard TV as US based production company with full permission from Edinburgh Airport ATC. 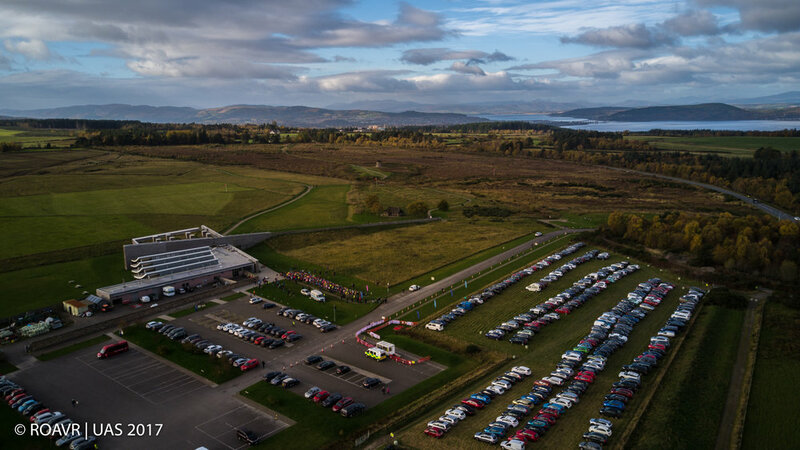 The Culloden run is two exciting road runs based at the historic NTS Culloden Battlefield Centre near Inverness. 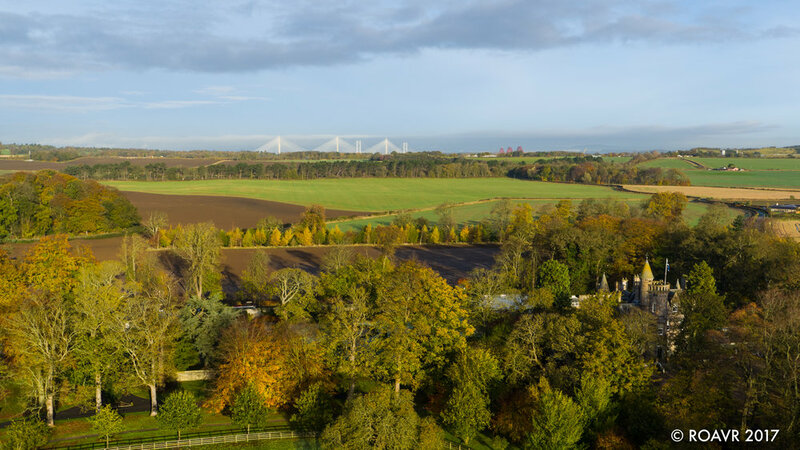 The Culloden Run 17.46k’ is a testing challenge over a 10.83 mile route which passes through stunning scenery and by historic landmarks; Culloden Battlefield, Clava Cairns, River Nairn and the awesome River Nairn Viaduct. The Culloden 10K’ is an exciting, fast, mostly flat route which passes around the quiet perimeter roads of Culloden Battlefield. All event proceeds go to Scottish charity Chest Heart & Stroke Scotland. 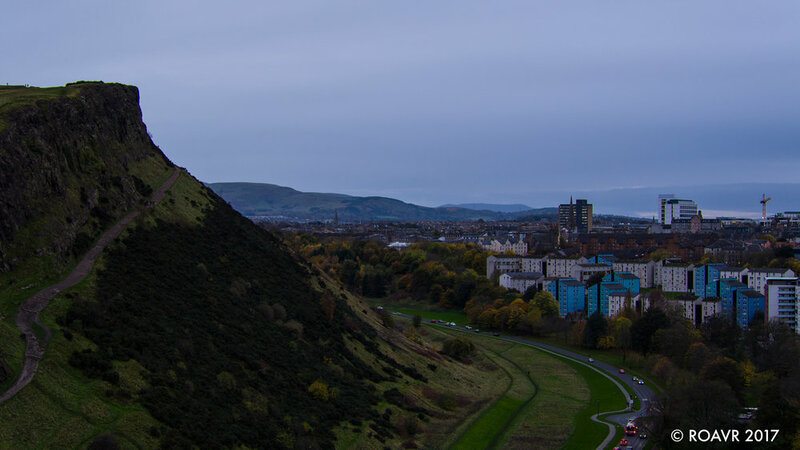 Climb to the battlements of the last of the grand medieval castles and marvel at its scale. Set high on a cliff edge and featuring a massive red sandstone curtain wall, Tantallon Castle was home to the Red Douglas dynasty. Tantallon Castle is a popular filming location and appears in the critically acclaimed film Under the Skin, starring Scarlett Johansson. We were here with full permissions for CBBC. Constructed in 2013, the Deep Energy is one of the largest pipelay vessels ever built. She has the capacity to install rigid pipe, flexible pipe and umbilicals in water depths up to 3,000 m via the reel-lay method. With a fast transit speed of 19.5 knots, high product storage capacity and an abandonment and recovery system rated to 500 Te, she can operate on North Sea and on Intercontinental projects. Here she is spooling on pipe at Technip's Evanston Spool Base. The Cromarty road crossing can clearly be seen in the background. Deep Energy - Evanston Spool Base. 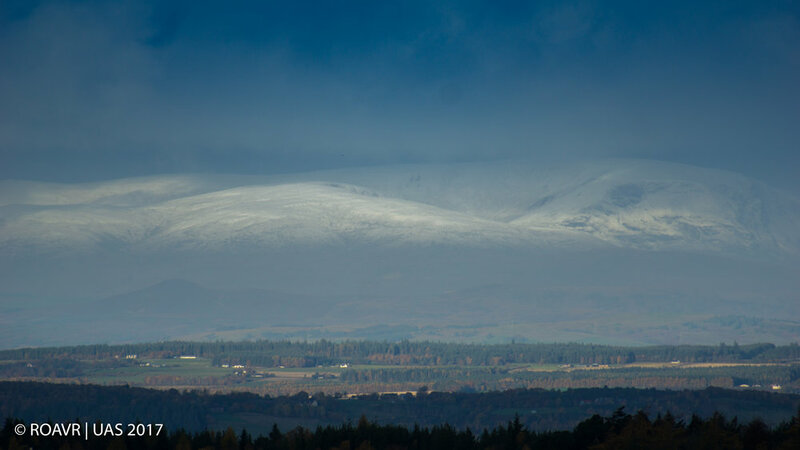 On the 5th November we have awoken to a dusting of snow on the mountains. Ben Wyvis is a mountain located in Easter Ross, Ross and Cromarty, Highland, in northern Scotland, north-west of Dingwall. It forms an undulating ridge running roughly north-south for about 5 km, the highest summit of which is Glas Leathad Mòr. Shoreton - Dingwall, October 2017. Contrary to its name, the Black Isle is not an island. 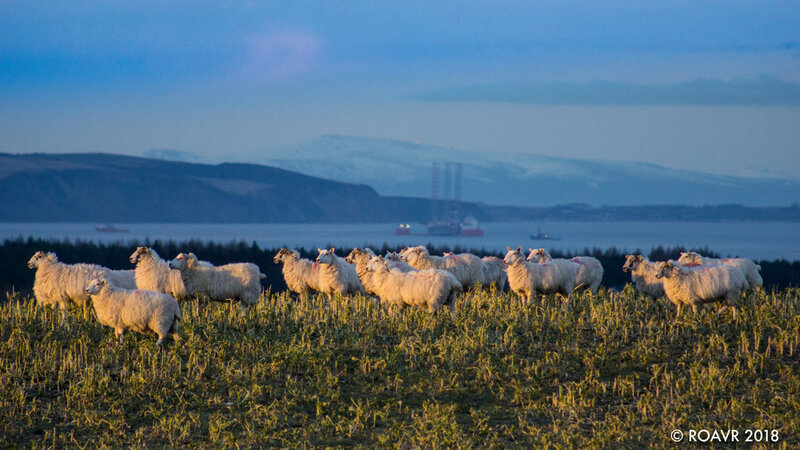 It is in fact a peninsula, surrounded on three sides by expanses of water, with the Cromarty Firth to the north, the Beauly Firth to the south and the Moray Firth to the east. From Inverness, it’s reachable by crossing the Kessock Bridge. One of the region’s great draws is its pod of resident bottlenose dolphins. At Chanonry Point, in between Fortrose and Rosemarkie, they can often be seen frolicking in the Moray Firth.